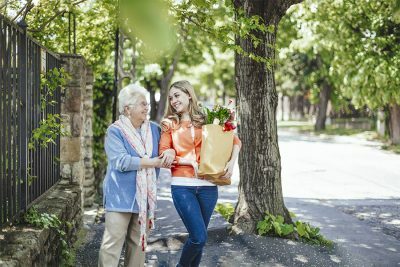 Whether it’s done out of love or simply a calling to do what’s right and help others, caregiving is an extremely important and demanding role in the lives of seniors. Currently, over 65 million adults in the US can be considered caregivers, taking care of an aging loved one or older adult that is suffering from some type of disability or chronic illness. These individuals dedicate countless hours to caregiving, and can sometimes develop something called caregiver burnout. Psychologists define caregiver burnout as a debilitating psychological condition brought about by unrelieved stress. It’s a condition that is not to be taken lightly and should be addressed as soon as it is noticed. These 13 warning signs are serious indications of caregiver burnout developing or being already developed. First thing is first if you are noticing any of these signs, ask for help! Needing help doesn’t make you or someone else a bad caregiver. No one can do this alone. It’s important to give yourself or another caregiver permission to take breaks, get out of the house, visit friends and take the focus off the demands of caregiving. It’s also important for caregivers to prioritize taking care of themselves. This means not skipping doctor’s appointments, exercising, eating well, and not sacrificing sleep. 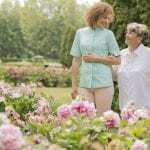 With these warning signs and some ideas on how to prevent/combat caregiver burnout, you can make the difference in your own caregiving or in another caregivers’ life, and help continue to the amazing work done by these individuals. For additional assistance with the demands of caregiving, consider utilizing a personalized selection of our own comprehensive care services at SameAddress. For more information on how we can assist, contact us today at 1-866-SENIOR-1.